David Alan Grier was born on 30 June 1956, in Detroit, Michigan, USA, and is an actor, comedian, and radio personality best known for his appearance in the television show “In Living Color”. He’s had many opportunities ranging from hosting, stand-up comedy, theatre and many more, and these various endeavors throughout his life have put his net worth to where it is now. 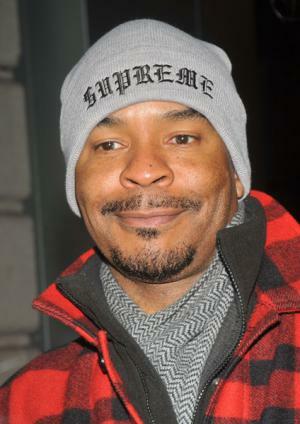 How rich is David Alan Grier? As of early-2016, sources estimate that his net worth is at $3 million, mostly acquired through a successful career in acting and comedy. Aside from his extensive career it is known that he loves motorcycles and owns a rare “Yamaha YZF-R1 Limited Edition”. He’s also written a book which has helped raise his wealth somewhat. David matriculated from Cass Tech high school, and then later graduated from the University of Michigan, before In 1981 finishing his masters degree from the Yale School of Drama, and went on to do theatre, starring in the Broadway musical “The First”. He earned a Tony Award nomination and a Theater World Award for his performance. At this time, he would also try his hand at radio becoming a part of the National Public Radio adaptation of “Star Wars” during 1981. He became a part of the widely popular production of “Dreamgirls” and then went on to make his film debut in the movie “Streamers” (1983), earning a Golden Lion for best actor at the Venice Film Festival. After more films and theatre productions, he then started doing more comedy and comedic roles. Grier starred in films like “Amazon Women on the Moon” (1987) and “I’m Gonna Git You Sucka” (1988), which opened the door for him to become a part of the variety show “In Living Color”. He gained considerable popularity in the show, as various characters in different segments of each episode; his net worth would also steadily rise from this point. He had a few prominent characters like Calhoun Tubbs the blues musician with limited creativity, and the obnoxious megaphone teacher Al MacAfee. Due to his success on the show, he became more involved in comedic films like “Boomerang” (1992) alongside Eddie Murphy, and “Blankman” (1994) along with Damon Wayans. David also made appearances in the film “Jumanji” (1995), and the Nickelodeon series “Kenan & Kel” (1996). After “In Living Color”, David started to move away from those types of roles and focused on more serious roles. While doing so, he also started doing stand-up comedy and became part of the series “Premium Blend”. Around the early 2000s he went back to Broadway musicals and became a part of several productions, including a revival of “The Wiz” – this BC production of “The Wiz” in which he played the cowardly Lion, became one of Grier’s latest roles. He also became a part of the radio show “Loveline”, in which he would often do comedy, and improve routines. David’s first marriage to Mariza Rivera in 1987 ended in divorce during 1994. He then married again in 2007 to Christine Y. Kim and they have a daughter. Aside from his love of motorcycles, Grier’s other hobby is food and he has even started a food blog. He is also a black belt in Taekwondo and showed a bit of his skills during the film “Blankman”. 2 Godfather to Streamers (1983) co-star Matthew Modine's children Boman Modine and Ruby Modine. 4 2010 Tony Award Nomination for Best Featured Actor for his performance in David Mamet's play, "Race". 5 His wife, Christine, gave birth to a girl, named Luisa Danbi Grier-Kim, on January 11, 2008 at Los Angeles' Cedars-Sinai Medical Center. His wife is the Associate Curator of the Studio Museum in Harlem. 6 Was a voice actor for National Public Radio's adaptation of Star Wars: Episode IV - A New Hope (1977) in 1980. 7 A graduate of the University of Michigan. 8 Was considered for the role of "George Costanza" on Seinfeld (1989). 9 Is the oldest host of Premium Blend (1997). 10 Most frequent guest - often called the "third host" - on Loveline, the humorous syndicated radio call-in show hosted nightly by Drew Pinsky ("Dr. Drew") and Adam Carolla. 11 Nominated for Broadway's 1982 Tony Award as Best Actor (Featured Role - Musical) for playing Jackie Robinson in "The First." 13 He got off to a very fast start in show biz, moving from Yale Drama School right to a lead role in a Broadway musical "The First". A surprising beginning in a serious, though musical role, considering his impressive comedic talent. Co-starred with Lonette McKee. Tiptoes 2003 Jerry Robin Jr. The 66th Annual Tony Awards 2012 TV Movie documentary performer: "It Ain't Necessarily So"
Dance Flick 2009 performer: "And I Am Telling You I'm Not Going"
The 67th Annual Academy Awards 1995 TV Special performer: "Hakuna Matata"